ITWeb's 14th annual IT Salary Survey captured a total of 5 385 valid responses more than double the 2013 sample. A marginal positive change is seen in the male/female ratio 79% of the respondents were male and 21% female, compared to 82% and 18% respectively in last year's survey. The majority (82%) are permanent employees and include C-level executives, business managers, consultants, IT practitioners, developers from all around the country, ranging in age from under 20 to over 50, and from organisations with under 10 people, to enterprise giants with over 5 000 staff. Those aged 31 to 35 made up the bulk of the survey, followed by respondents in the 26 to 30 range, and 36 to 40 range. This survey was conducted online in late 2013 and early 2014, and as such, it does not have a controlled sample. 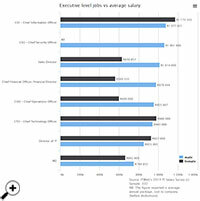 The results report is meant to serve as an indicator of local IT salary trends. The annual ITWeb IT Salary Survey offers a fascinating window into IT employment trends in South Africa and shows how the salary landscape is changing. Anton van Heerden, MD of Sage VIP Payroll & HR. SA's IT salaries have outstripped inflation, but 36% of respondents believe they are underpaid, finds ITWeb's 2014 IT Salary Survey. 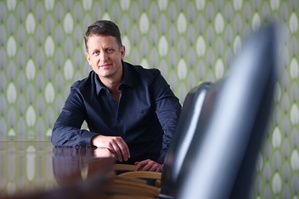 Salaries of South African IT professionals have outstripped inflation, according to ITWeb's 14th annual IT Salary Survey, which doubled its sample in 2014, with over 5 300 valid responses. The average annual salary of those permanently employed went up by R48 000, or 11.3%, since last year, with women overall recording a higher increase – salaries of female respondents went up by 13.6% while male respondents recorded a 9.6% increase. Business owners earn the highest salaries (R652 542 on average), but only comprise 6% of the sample. An overwhelming majority (82%) are permanently employed and reported an average of R496 858 per annum. Interestingly, contractors ? making up 12% of the sample earn only 4% more than those in permanent employment. Of course, with more responsibility comes better pay. Respondents that fell into the executive or strategic management group (9%), reported an average salary of R847 379, followed by those at operations management level (33%) at R590 727. Staff-level respondents made 58% of the sample and earned an average of R404 605. Looking at the variance between the three levels, the gaps are staggering – top executives earn 43% more than operational managers and more than double (109%) that of staff. Those who manage people on average earn 43% more than those who don't. Almost half of the respondents (49%) believe their salary is fairly competitive. As one would expect, those 15% who are the happiest and aware their pay is very competitive, earn the most (over R700 000 per year), while those who feel they are underpaid reported the lowest average – R350 000 per year. R1.1 million is the average salary reported by women CIOs – 9 % higher than the average pay of their male counterparts. The ITWeb Salary Survey 2014 revealed the top earners to be female chief information officers (CIO), boasting an annual salary of R1 173 333 – nearly 95k or 9% higher than their male counterparts at R1 077 821. However, of the 42 CIOs that participated, only three were women. There were several roles in which women command significantly higher salaries than men in this survey. These include training managers, systems architects, IT managers and IT engineers and web developers - with women being paid on average 10 to 40% more than the men in the same job function. The number of women entering the IT industry is still relatively low, but the findings of the survey clearly indicate the absence of the proverbial glass ceiling – those who make it in the demanding world of business IT, can and do command top money. At the executive and strategic level, the average salary reported by all CIOs (43) at R1 084 643, was 32% up from the average of R820 000 last year – a testimony to the higher profile of this year's CIO population in our sample. Next highest at the top level, were the chief security officers at R1 061 000, chief technology officers with R944 000 and sales directors with R906 720. Presenting an anomaly, in last place were the MDs, reporting an average of R739 23. However, this is due to the company size they work for – smaller, entrepreneurial companies, while the top-paid C-level execs mostly work for large corporates. One level down, operational management top earners remain, as in previous years, enterprise architects with R754 872. They are followed by business development managers at R696 989 and data warehouse managers at R649 385. Sales managers came in fourth with R640 348 and project managers fifth with an average of R635 379. When it comes to staff level – IT professionals who have no managerial responsibility and therefore no one reporting to them, architects once again top the charts – the average software architect earns R699 021, the systems architect earns R647 220, with ERP consultants in third place with an average of R579 359. At the bottom end of the scale, the lowest average salaries are reported by customer support and helpdesk technicians, with R166 848, and IT technicians on R174 595. Web designers with R212 550 and software testers at R262 526 are slightly better off. The ITWeb Salary Survey 2014 has revealed the top paying popular skills – with more than a hundred survey respondents – are SAP, Java, Cisco and C#, with average annual salaries between R620 000 and R520 000. Closely behind are those who list MS SQL Server as the technology platform they specialise in, with just over R500 000 on average, while those focusing on Windows Server family platforms earn just over R440 000. But those are not the highest paid skills overall – that spot is taken by less popular, "older" technologies, largely because those respondents are in senior, mission-critical positions, with long track records. Adabas came in tops, with 12 respondents earning an average of R841 667. They are followed by IBM Lotus Domino specialists at R819 333, Sun server hardware at R793 333, and PowerBuilder at R792 000. 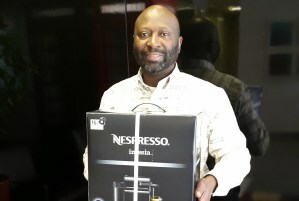 Next came Assembler with R750 000, Sun Solaris at R736 000, and Avaya and Cobol at just over R730 000. "High salaries for Adabas, Cobol, Assembler and other legacy platforms show the mainframe is far from dead," says Anton van Heerden, MD of Sage VIP Payroll & HR. "However, the sheer number of respondents working on more modern Web-based platforms and the salaries they command also show South African organisations are embracing digital transformation of their businesses." In terms of overall popularity of platform, Windows Desktop came out tops with 514 respondents, followed by Windows Server Family with 350 respondents and C# with 312. Other popular platforms, over and above the top four, include Linux, PHP, Oracle database and Oracle applications, HTML and C++. A breakdown of the most popular platforms by male and female respondents shows a slightly different picture than the overall average – see graph "Tech platform vs salary – female vs male". In terms of broader technical areas of expertise, it came as no surprise that enterprise architecture and service-oriented architecture came out tops, recording an average salary of R941 659. This was followed by IT strategy at R729 847 and systems architecture at R681 850. Other popular IT fields included sales, enterprise resource planning, project management, enterprise application integration and business intelligence. At the bottom of the IT food chain are the support functions – the basic functions keeping the "lights on" – desktop support at R190 999, systems support or helpdesk at R225 136, and network administration at R272 740.